We were thrilled with yesterdays performance of Orgilgo Bay in the famous Beresford Stakes, Group 2 at the Curragh. This is one of the most famous 2yo races in Ireland and it is traditionally used as a stepping stone for next years Classics. It has previously been won by champions such as Sea the Stars, Alamshar or St Nicholas Abbey to name but a few. 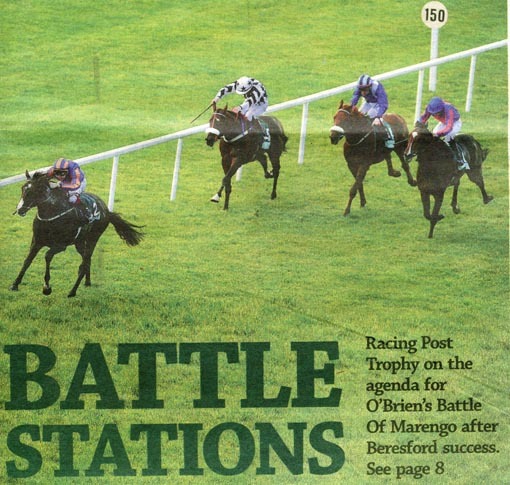 This years winner Battle of Marengo (by Galileo - Anna Karenina) won easily and is held in very high esteem by his trainer Aidan O Brien and the whole Coolmore team. Despite having had a very busy season with four starts on heavy ground, Orgilgo Bay once again displayed a tough front running performance by holding on gamely to the second place from Railways Stakes Gr. 2 second Probably (Danehill Dancer - Wedding Morn). 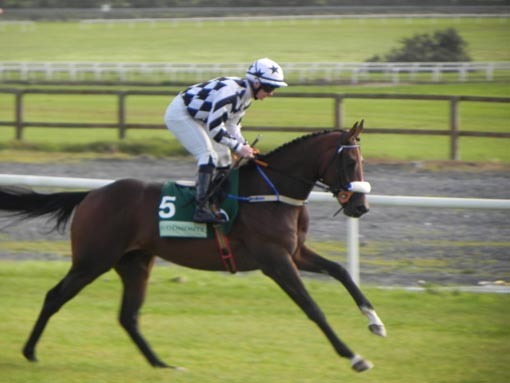 His pedigree certainly suggests that there is much more to come from this tall and still unfurnished colt and this was re-iterated by his trainer John Mc Connell in the Racing Post interview: \"I am thrilled with that run. I knew his rating (102) was not wrong and he keeps galloping. He could be put away until next year now, when he will make a lovely horse at a mile and a half. The first priority will be to get a win for him but there is no shame in picking up nearly 20,000 for finishing second today. He could have run into next years Derby winner here!\"
Further farm news are that the our two weanling colts have started their sales preparation and prove to be very cooperative pupils. 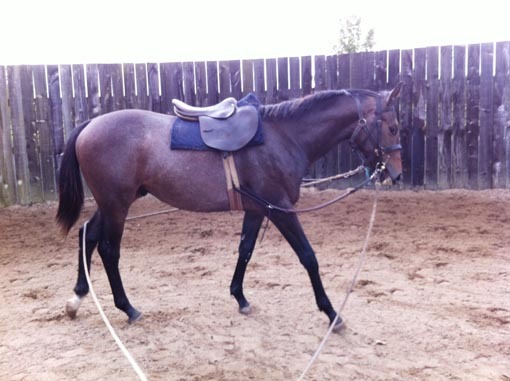 Dr. Rolf Schmids yearling colt by Clodovil has been a very quick learner also and loves his daily long-reining excercice. He will join the Mr. Oxx academy next week. Meanwhile all the mares have been tested in foal at 1st October which is always a great relief. The only negative being that the Covering Fees for 2013 are now due to be paid!! Wednesday will be the start of Goffs Orby Sales and our eyes will be on lot 39, the Marju colt out of Khatela that we sold to Ennistown Stud last November for 72k. Claude (Clodovil - Romandie) is a very willing pupil!